Product prices and availability are accurate as of 2019-04-14 16:57:45 EDT and are subject to change. Any price and availability information displayed on http://www.amazon.com/ at the time of purchase will apply to the purchase of this product. 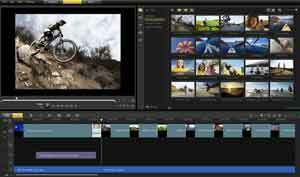 Step up to Corel VideoStudio Pro X4 Ultimate - your end-to-end video-editing software for results that scream blockbuster! Get all the high-speed HD editing tools in VideoStudio Pro X4, plus pro-quality bonus plug-ins proDAD Mercalli SE for extreme video stabilization, and Boris Graffiti for broadcast-quality titles, animations and graphics. Multimonitor support--2 monitor view. View larger. Main editing interface. View larger. Stop motion animation UI. View larger. Multi-trim Video UI. View larger. Add/edit chapter UI. View larger. 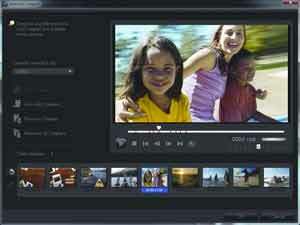 Corel VideoStudio Pro X4 is the powerful, creative and easy way to take your video footage from shoot to show--fast. 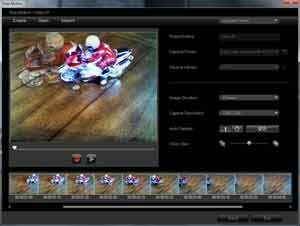 Quickly load, organize and trim SD or HD video clips. Fix common video problems and easily cut together your production using integrated movie templates. Get creative with amazing effects, music, titles, transitions, including new Stop Motion animation and Time-Lapse tools, then even export to 3D! And because VideoStudio Pro X4 is optimized for the latest hardware from Intel and AMD, you see the results on screen faster than ever. Share anywhere--on iPhone, mobile device, disc, your favorite website or your TV. Live life. Make movies. Corel VideoStudio Pro X4. 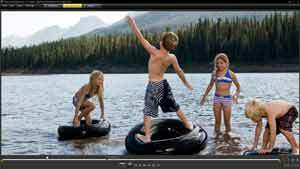 VideoStudio Pro X4 Ultimate provides an end-to-end HD video-editing experience, with broad import support for a variety of cameras, advanced image correction, high-speed editing, amazing real-time effects and all of the most popular sharing options. It's everything you need to turn your action-packed video into pro-quality movies. Fix even the shakiest video with proDAD Mercalli SE--rock-steady video stabilization, rolling-shutter correction and zoom/pan optimization. You can also adjust color, white balance, tone, exposure and more with multicore processor-accelerated color correction, Advanced DeNoise, Auto Exposure and Lensflare filters, all included in VideoStudio Pro X4. Create broadcast-quality titles and graphics directly within VideoStudio Pro X4, without importing and exporting! You can even add even sophisticated title animations, including type-on-text, text on a path, jitter and randomization. Plus, create 3D text with bump maps and reflections. An expansive Style Palette and the Boris Library Browser provide easy access to hundreds of preset effects and styles. Edit and render faster with unparalleled AVCHD acceleration, and support for new high-performance hardware, including 2nd generation Intel Core and AMD processors, plus multi-core and GPU optimization. Choose from hundreds of authentic sound effects, including 100 new sounds! This collection includes sirens, engine sounds, impacts, explosions, laugh-tracks, rain, flute and much more for all of your productions. Create your own animated movie featuring people, toys, clay figures or any object. The VideoStudio Pro X4 Stop Motion module is the ideal video and animation workshop for users of all levels. Make more room to work and get better control over your tools! Just drag to resize and position panels where you want them, even across two monitors. Quickly organize and find your content--including video and audio clips, photos, filters, graphics and transitions--with the streamlined Navigation panel. Then use the enhanced Timeline to place titles on any track, add transitions, and apply settings and filters to multiple clips and batches of images. With the VideoStudio Pro X4 Time-Lapse effect, you can make the sun set in seconds or show a day in the life of your neighborhood in just minutes. 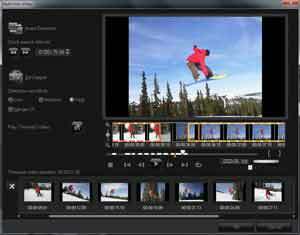 Start with a video clip and speed it up or remove frames. Or use a series of photos taken at regular intervals and play them in sequence as a movie. A cool effect made easy! Create, import and export movie templates to save time and get great results. Make a template of cool title sequences, effects or complete movies, then reuse or share with others on Corel's free template trading site: www.photovideolife.com (EN only). 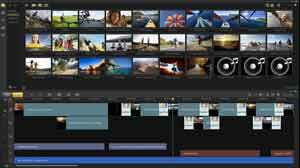 VideoStudio Pro X4 Ultimate provides an end-to-end video-editing experience, with broad import support for a wide variety of cameras, advanced image correction, high-speed editing, amazing real-time effects and all of the most popular sharing options. It's everything you need to turn your action-packed video into pro-quality movies. Create broadcast-quality titles and graphics directly within VideoStudio Pro X4, without importing and exporting! Add sophisticated title animations, including type-on-text, text on a path, jitter and randomization. Plus, create 3D text with bump maps and reflections. An expansive Style Palette and the Boris Library Browser provide easy access to hundreds of preset effects and styles. Boris Graffiti version 5 delivers EPS file import, extrusion and animation capabilities, and over 30 new filters. Make more room to work and get better control over your tools! Just drag to resize and position panels where you want them, even across two monitors. Quickly organize and find your content--including video and audio clips, photos, filters, graphics and transitions--with the streamlined Navigation panel. Then use the enhanced Timeline to place titles on any track, put transitions at the beginning and end of clips on overlay tracks, and apply settings and filters to multiple clips and batches of images. Create, import and export movie templates to save time and get great results. Make a template of cool title sequences, effects or complete movies, then reuse or share with others on Corel's free template trading site: www.photovideolife.com (English only). Take your projects to go, or collaborate with friends or across your organization using Smart Package, now with integrated WinZip technology, to combine all the video, photos and audio related to a project in one package, so you can take it with you and work on any PC, anywhere! 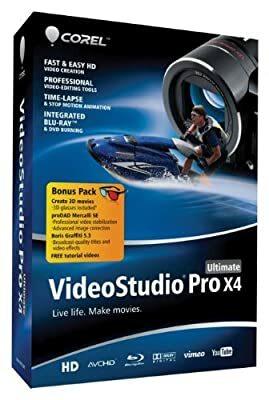 VideoStudio Pro X4--powerful video editor and advanced image correction, proDAD Mercalli SE--professional video stabilization, Boris Graffiti 5.3--broadcast-quality titles and video effects, 3D glasses (boxed version only), and free tutorial videos.